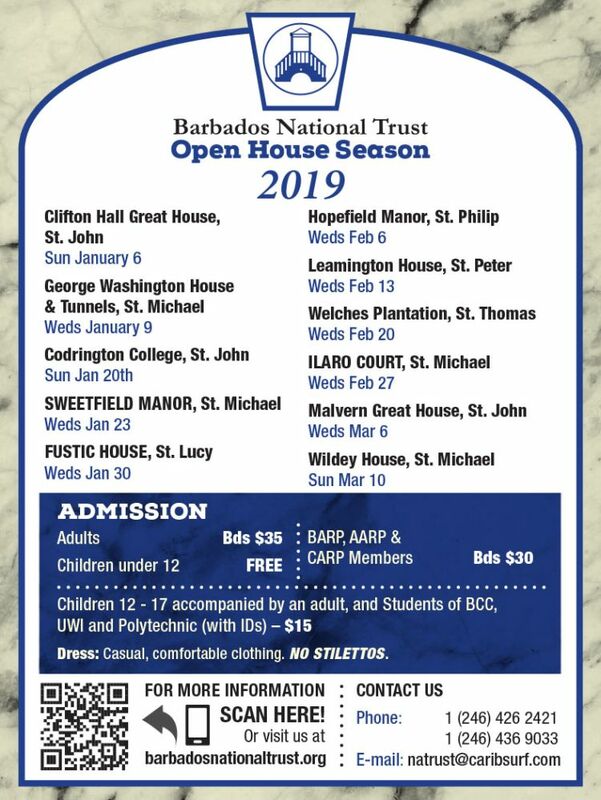 Wildey House is this week's Open House. 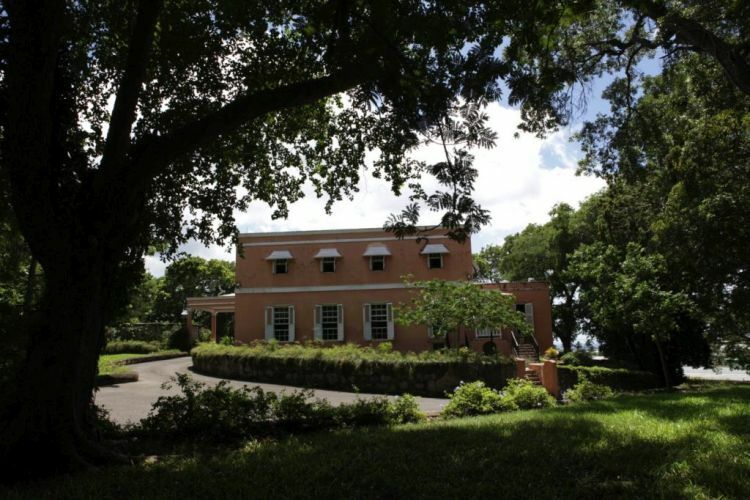 The headquarters of the Barbados National Trust, Wildey House is a classic Georgian style mansion thought to have been built around 1760. It was last owned by the Leacock family, who bequeathed it to the Trust. The house has been carefully restored and its ground floor is furnished with the Leacock’s antiques. Offices occupy the former bedrooms upstairs. Tours will commence at 2:00 pm. At 3:00 pm, there will a 'mini' fashion show by Ela Boutique. At 3:30 pm, Sir Henry Fraser will tell you about the interesting history of Wildey House and the National Trust. At 4:00 pm, the world-famous Royal Barbados Police Force Band will be playing dance standards from the 1940's to the modern. The door prize draw will take place at 4:15 pm - the last of the season so hold onto your tickets. The Trust's Food and Beverage stalls will be selling tasty eats and thirst quenching drinks. The Trust's Souvenir Shop will also be there as well the Artisans Mall. On the ABC Highway, go south from the Bussa (Emancipation) roundabout, and after the Polytechnic’s tiny roundabout, get into the right lane. Pass Cable & Wireless, turn right at the junction by the gas station. Turn right again, just after the next gas station and ease into the left lane. Wildey House is up the hill at the first left. 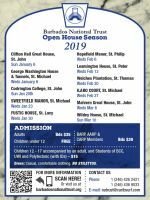 Members of the Barbados National Trust $25.00 upon presentation of membership card. Also applicable to reciprocating Trusts and Societies members. Parking will be at Carter's General Stores, Wildey.